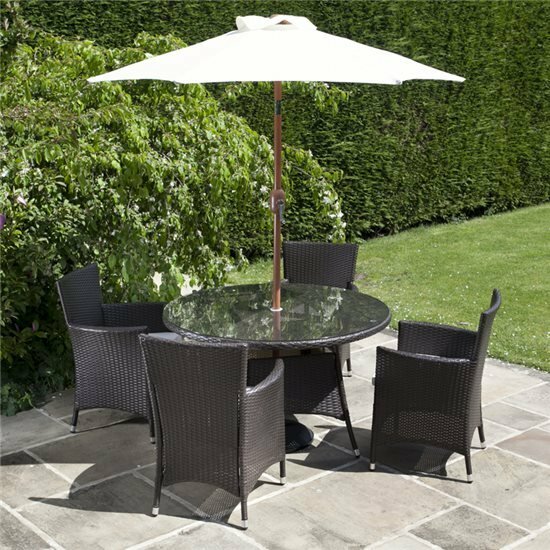 Made from handwoven finely synthetic rattan, the BillyOh Rosario Round Dining Set is spectacular wooden furniture, which is amazing for those summer evenings, adding a classic garden centre piece. The BillyOh Rosario is designed using premium aluminum framing, creating a long lasting dining piece. A brown finish, adds to the classic style, making it perfect for those summer months. 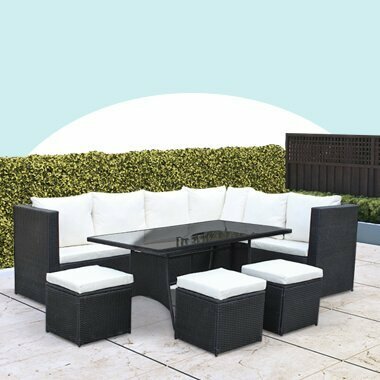 Nothing makes alfresco dining better, than eating at a comfy stylish table. 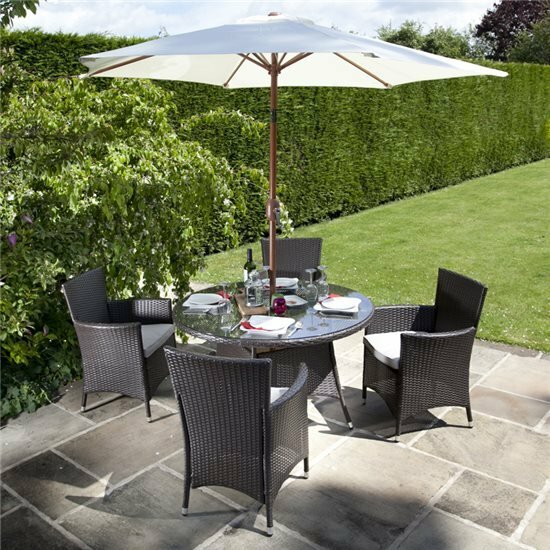 Weaved into the popular flat weave method, the BillyOh Rosario Rattan Dining Set provides superb comfort throughout your outdoor seating. 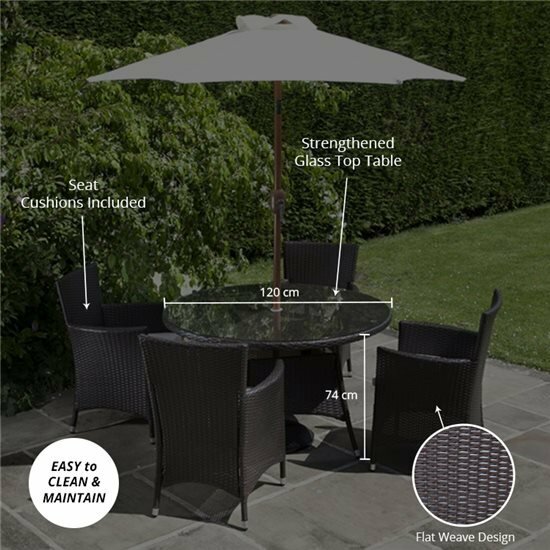 This furniture is easy to move and incredibly light, but with the strong aluminium frame it remains strong and durable, with UV protection making it ready to withstand intense sunlight or heavy rain. 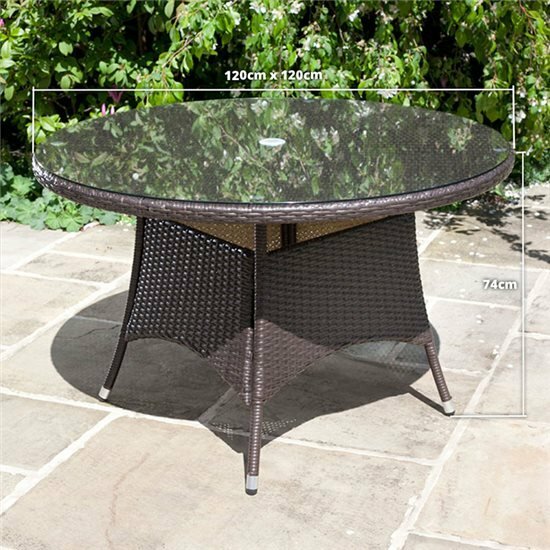 Make the most out of British summertime and enjoy the content, homey feel of the Rosario’s round dining table. Covering a 120 cm wide area with a toughened and easy-to-clean glass top, any spillage or mess is simple and easy to clean. 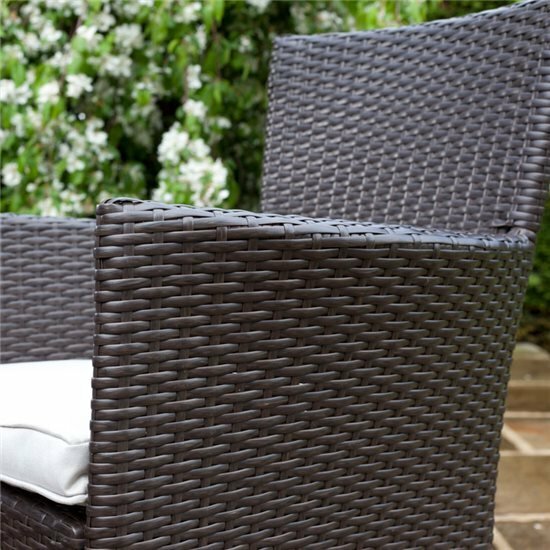 To complement the Rosario dining set are 4 pieces of beautifully crafted rattan armchairs set. Each of the chairs is complete with a snug cushion to further enhance the comfort of the dining set. 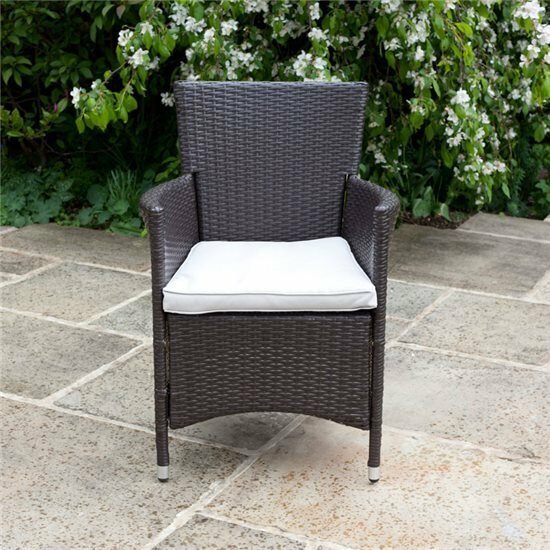 The built-in strength and unbelievable comfort of this dining chair is suitable for use all year round. 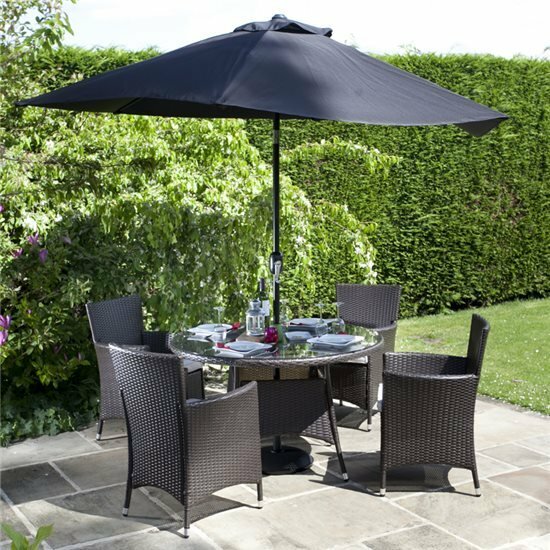 Nothing makes alfresco dining more lovely than when spent on a premium and classic rattan furniture set. 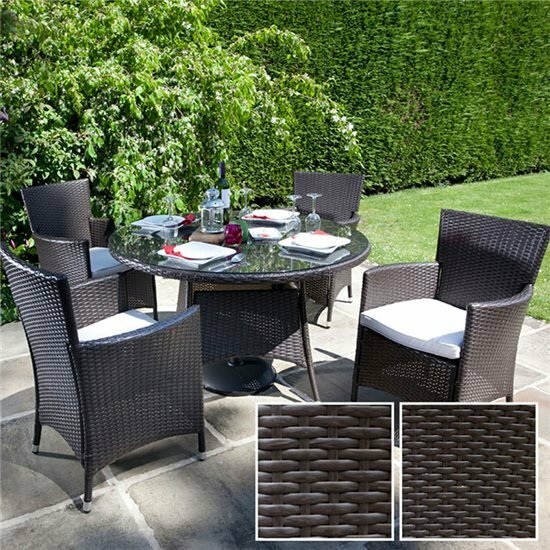 Weaved into the popular flat weave method, the BillyOh Rosario Rattan Dining Set provides superb comfort all throughout your outdoor seating. This furniture is so light yet reliably sturdy, thanks to its strong aluminum framing. It is built to outlast weather elements and constructed to last long. Dine to your heart’s content with the homey feel of the Rosario’s round dining table. Covering a 120 cm wide area with a toughened and easy-to-clean glass top, you can bring in all the food and cocktails without stressing over the cleanup. 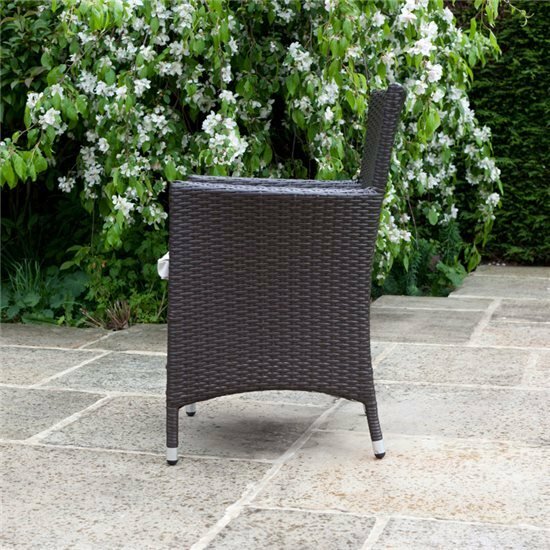 To complement this long, open-legged table are 4 pieces of beautifully crafted rattan armchairs. 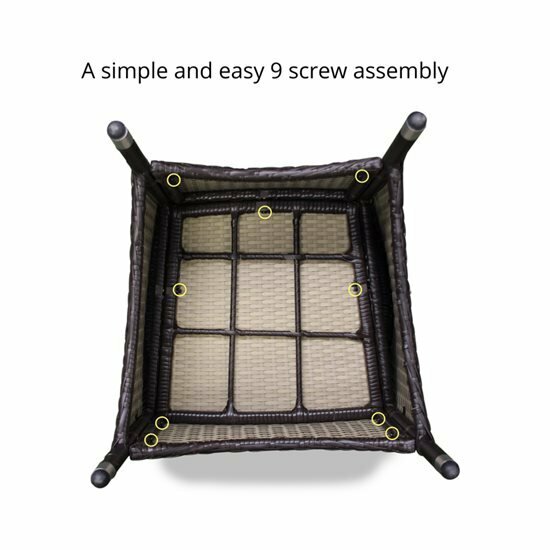 Each of the fixed chair is complete with a snug cushion to make seating especially relaxing. 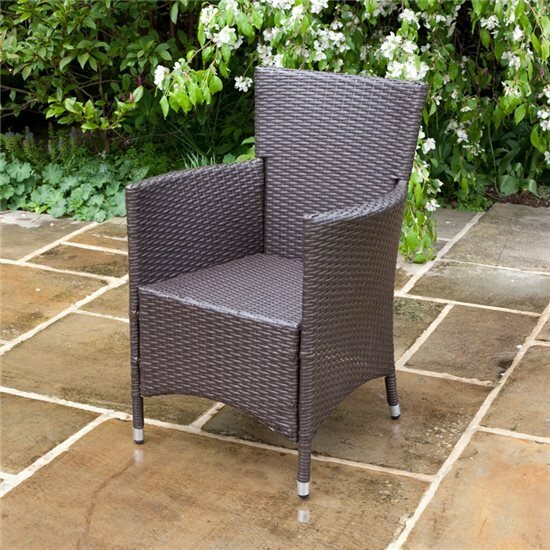 The built-in strength and unbelievable comfort of this dining chair is suitable for use all year round. 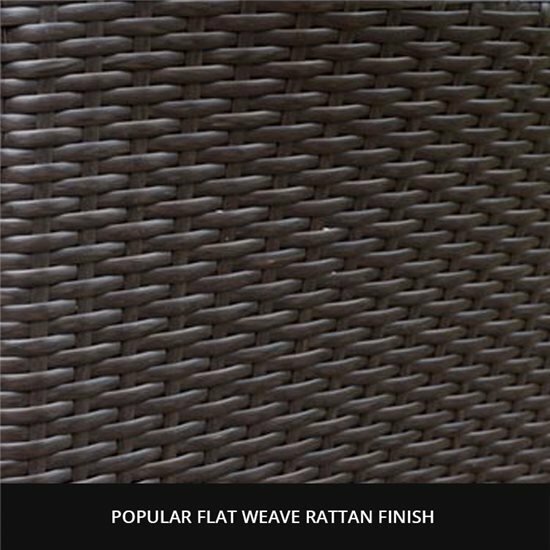 Rattan is one classic furniture favourite that never runs out fashion. The BillyOh Rosario builds upon this natural beauty and forms it to the shapely and useful dining set that it is. The chair provides enough room to prevent you from having back pains, especially when sitting on them for long hours. 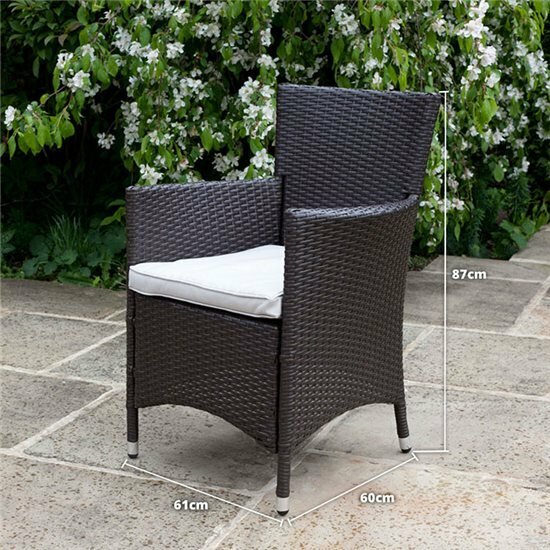 Function, style, and all, this outdoor rattan furniture makes a garden statement that is cut above the rest. 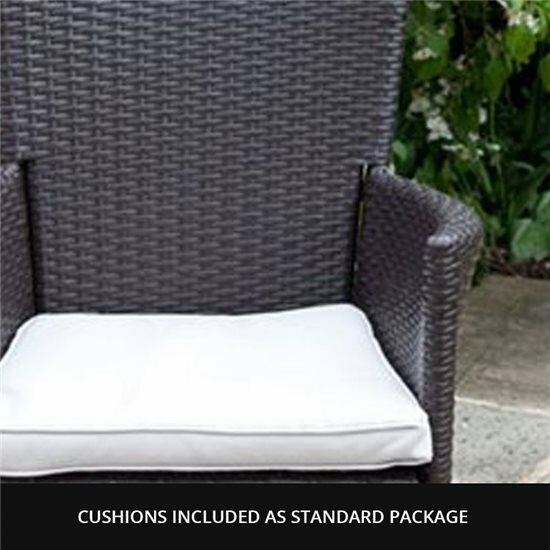 Table Dimension 120cm x 74cm x 120cm 3'11" x 2'5" x 3'11"
Base Cushions - Thickness 5cm 2"